If you feel guilt around your child’s learning and attention issues, it’s important to know you’re not alone. Feelings of guilt and shame are common among parents of kids with learning and attention issues. You may feel guilty that your child even has these issues, as if you “gave them” to him. You might feel bad about how you react to your child’s behavior or struggles. Or you may think that you should or could have done (or be doing) something differently. Understanding some of the reasons parents feel this way may help you set your guilt aside and take some productive steps to feel better. Read on for more information and tips. Watch this video from Understood.org to hear from parents of kids with learning and attention issues talk about their own feelings of guilt and shame. 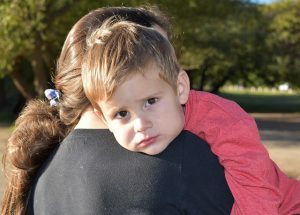 Excerpted from “How to Get Past Parenting Guilt When Your Child Has Learning and Attention Issues” on Understood.org. Read the full article for insights on why you may feel guilty and the ways to move past it. Understood.org’s goal is to help the millions of parents whose children, ages 3–20, are struggling with learning and attention issues. Visit the Understood website for more information.